Oklahoma’s budget gap has doubled. 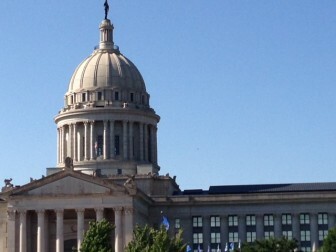 Figures obtained by Oklahoma Watch show the budget gap is now at $611.3 million. Fallin’s finance secretary, Preston Doerflinger, issued a media statement saying the state’s budget numbers weren’t finalized but “every indication shows” the budget gap has likely doubled. “Ever since oil started dropping, we have known scenarios like this could occur. We are fully prepared and already working with all options on the table to meet the challenge,” Doerflinger said. Documents released by the Oklahoma Tax Commission show large declines between the agency’s December 2015 and February 2016 revenue estimates. According to the Tax Commission, the February 2016 estimate for individual income tax revenue is down by more than $230 million from the agency’s December estimate. In addition, the February revenue estimates for gross production tax on oil, gas and state sales tax are also down by more than $112 million than the tax commission’s December estimates. During her “State of the State” speech, Gov. Mary Fallin said the budget gap was about $300 million. Fallin called for 6.25 percent in budget cuts for many state agencies and asked lawmakers to take about $300 million out of state agency revolving funds to help fill the budget hole. The governor didn’t specify which revolving funds should be used. However, lawmakers now could be forced to make deeper cuts in agency budgets and look for more revenue from revolving funds simply to break even. Rep. Earl Sears, R-Bartlesville, House budget chairman, said revolving funds were a targeted revenue source. “We’re looking at all revolving funds to assist us in funding basic services,” Sears said. Sears confirmed that legislators were also studying the idea of taking money from Oklahoma’s Constitutional Reserve Fund. That fund, known as the “Rainy Day Fund, has a balance of $535.2 million, Deputy State Treasurer Tim Allen said. Because the Oklahoma Constitution limits how much can be taken from the fund, the Legislature could only take about $334 million from the fund this year. Lawmakers will have their final budget numbers next week, after the state Board of Equalization meets to certify revenue projections. Oklahoma’s judicial system, already forced to seek additional revenue through increased use of fines and fees, could see another budget reduction during the 2015 legislative session.